Fondazzjoni Kreattività regularly invites creatives from all fields to apply for an immersive and community-based artist-in-residence programme. These residencies are based within the context of a growing cultural creative scene in Malta, in line with Fondazzjoni Kreattività’s remit of being a catalyst for contemporary expression, a legacy of the Valletta 2018 European Capital of Culture and Arts Council Malta’s Strategy 2020. 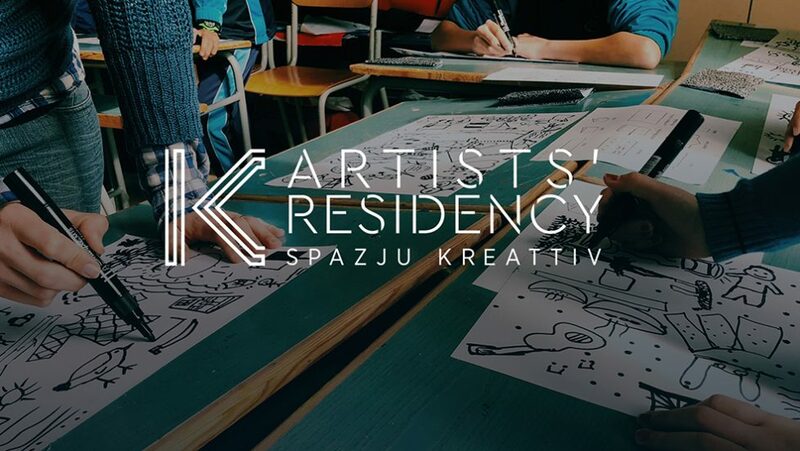 This residency programme aims to enrich cultural diversity within the national creative scene by encouraging encounters and exchanges between international and Maltese artists, creative collaborators and communities in physical and virtual environments. The residency framework provides the time for research and development as well as opportunities to engage with communities in the presentation of work. Fondazzjoni Kreattività offers the following opportunities for residencies in the Maltese Islands. Projects based in Gozo, the rural sister island of Malta, are encouraged to engage with its close-knit communities, landscapes, seascapes and soundscapes, to develop a contemporary exploration of the cultural diversity that exists there. Residencies based in Malta will have the primary objective of engaging with minority groups across the island, creating a means for social engagement through artistic expression. Such initiatives will seek to provide opportunities for creatives to collaborate with specific communities, researching and developing links between long-standing traditions, social trends and contemporary creative practices in the process. The MalTeen residency is an opportunity for Maltese youths aged 13-17 to participate in a short project with creatives that are sensitive to work with younger people. MalTeen is a year-long arts programme geared towards active youth involvement and empowerment and is produced in collaboration with Aġenzija Żgħażagħ, the National Youth Organisation. present creative forms that are currently emerging or underrepresented in Malta and Gozo. Fondazzjoni Kreattività will provide you with accommodation, a project allowance, airport transfers, professional assistance in the coordination and development of the initiative. Flight expenses are the responsibility of the selected applicants and need to be booked following consultation with Fondazzjoni Kreattività. Applications for the 2018/19 programme are no longer being accepted. Please check back in 2019 to apply for the 2019/20 programme.